Dorothy Ruth Macaulay, 88, passed away on Saturday, September 29, 2018 at Gouverneur Hospital surrounded by her loving family. Calling hours were held on Tuesday, October 2nd from 1:00 to 3:00 pm with a funeral service at 3:00 pm at the Green Funeral Home, Gouverneur with Rev. James Warrington, pastor of Macomb Community Wesleyan Church officiating and private burial in Oldsville Cemetery, Macomb. Dorothy was born in Lyons Falls on December 8, 1929, the daughter of Howard and Nellie Gaddis. She married George A. Macaulay on January 25, 1948. The couple operated the family farm on the Yellow Lake Road, and Dorothy worked at E.J. Noble Hospital in Gouverneur as a ward clerk for 33 years. Dorothy enjoyed spending time with her family, cooking, baking, and sharing her favorite recipes with her family, such as teaching them her secrets to homemade doughnuts or cabbage rolls. 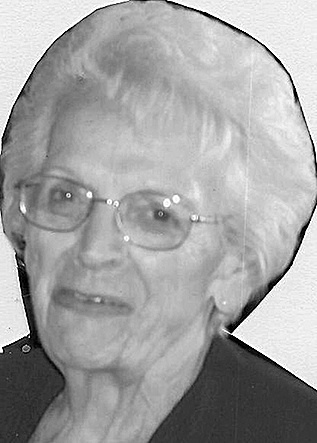 She was a member of the VFW Ladies Auxiliary. She is survived by her three children Michael and Brenda Macaulay of Fowler, Linda and Donald Reynolds of Albion, George and Joni Macaulay of Pleasant Lake, her companion Wallace Sibley of Gouverneur, 8 grandchildren, 11 great grandchildren, several nieces and nephews. Dorothy is predeceased by her husband George, two sons Larry Macaulay and Jim Macaulay, her sisters Helen Macaulay and Gwen DeGrace, and her grandson Richard Macaulay. Memorial donations in Dorothy’s memory may be made to Gouverneur Hospital, 77 W. Barney Street, Gouverneur, NY 13642.